It's been a while since Faster Pussycat played the larger venues, but that's about to change. They'll be hitting the road with Poison and Cinderella for the "Hollyweird" tour. which crosses the U.S. in the next few months. After building a solid fan base in the 1980s with songs like "Bathroom Wall," "Poison Ivy" and "House of Pain," the members of Faster Pussycat went their separate ways in the early 1990s. But last year, founding members guitarist Brent Muscat and vocalist Taime Downe put the band back together and hit the road. Muscat says they felt the time was right for the band to reunite. "I never really wanted to break up, but the other guys wanted to do their own things for a while," says Muscat. "We got together last year, and it was great. I think the timing is right." During their time away from Faster Pussycat, Muscat and Downe did different things. Downe formed the experimental industrial band the Newlydeads, while Muscat worked with L.A. Guns and some smaller bands. Muscat says during much of that time, he was in bands that toured on low budgets. So, for him, it's nice to be back in Faster Pussycat. "For me, last year was a piece of cake after going out in a small van and having to haul my own equipment," he says. "That was hard for me, because I was used to having nice buses and road crews." Muscat says he's excited about the upcoming outings with Poison, because Faster Pussycat hasn't been on a big tour in more than a decade. But he says it will be even better for the band's three newest members. "For the new guys, it's really exciting," he says. "Last year was the first time some of them had ever been on a tour bus. Now they're going out with Poison for a big summer tour - and summer's the best time to be on the road." But don't expect a retro-'80s show from Faster Pussycat. "If people come to the show expecting to see a nostalgia act, they're going to be disappointed - we've got some surprises," says Muscat. "We're not whipping out the old velvet suits and scarves we used to wear. I think that's one reason Poison wanted us on the tour. We've known each other from back in the day, and they always knew we'd do something unexpected." In addition to the big shows, Faster Pussycat will be working overtime to try to reconnect with their fans. If the tour is taking a break, they'll be playing a smaller venue somewhere. On some nights, they'll even be playing two shows. 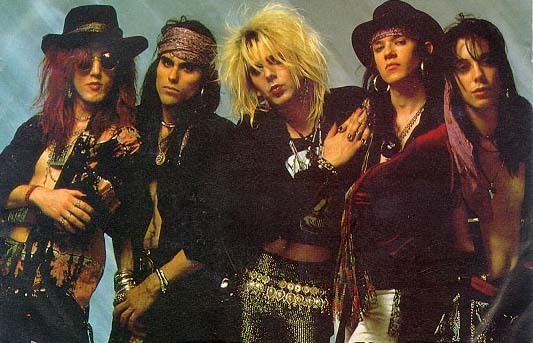 "While we're on the Poison tour, we'll be getting offstage, driving for a little while and playing another show that night," he says. "We've been out of the public eye for a long time, and I definitely think this tour will help us connect with our fans again. We're getting a lot of e-mails at our Web site (www.fasterpussycat.com) from people who are excited to be able to see us." Muscat says he doesn't want to try to predict the future, because in the music business anything can happen. But he hopes that once this tour is over, the band can record a new album. "I think this tour is going to raise our profile, and that will be the best time to go in and make a record," he says. "It would have been nice to have a new album before going on this tour, but you want to do it at the right time. You don't want to push things." Muscat knows that not everyone will be happy to see Faster Pussycat again. But that doesn't really bother him. "Faster Pussycat has always been a band where people love you or hate you," he says, "And I kind of like it that way."